Tyler is invited to go to a cabin for a party-filled weekend where it turns out he is the only black man in attendance. It's hard to be the new person at a party filled with old friends. The group already knows everyone else. They have their old stories, their quirky inside jokes, and their established traditions so it may take a while for an "outsider" to acclimate to their new surroundings. "Tyrel" is written and directed Sebastián Silva, who is known for making the films "Nasty Baby" and "The Maid." 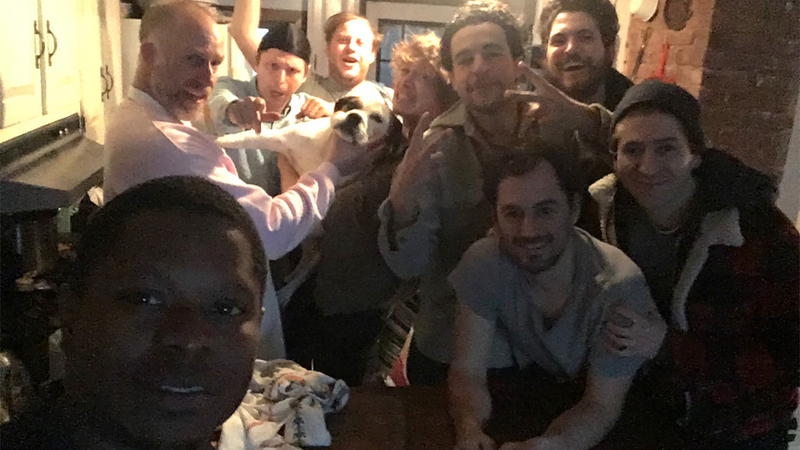 It tells the story of Tyler (Jason Mitchell), a young black man who has been invited to spend the weekend at a cabin with his friend Johnny (Christoper Abbott) and all of Johnny's old compatriots who are celebrating the birthday of their buddy Pete (Caleb Landry Jones). Johnny is the only person Tyler knows at the party, and though the others seem as welcoming as they can be, Tyler is uncomfortable and feels like an outsider in a constant state of awkward interactions. His feelings and the group's actions lead him to make some questionable decisions throughout his time there. "Tyrel" offers an intimate indie exploration of human behavior, perception, and race. Tyler enters into a scenario that is wholly inviting, yet he feels uneasy and is constantly on edge. First off, he is the only black man at a party filled with white friends who have known each other for years. Though Pete's buddies instantly attempt to include him in their activities, Tyler is reluctant to participate. On top of that, a couple of off-hand comments are made during the first few games of the night, which makes Tyler increasingly uncomfortable and for a good reason. Pete's friends say some things that may seem innocent on the outside, but in reality, these remarks are passive and unintended racism, thus causing Tyler to feel even more like a perceived "outsider," making him paranoid in the process. The guys spend their weekend goofing off, listening to REM, drinking hot toddies and Irish coffees, all while Tyler continues to feel like the odd man out and they remain completely ignorant to his real feelings. We felt the air get sucked out of the room on more than one occasion as we face-palmed at some of the comments Pete's pals make without even realizing they are being racist or insensitive to Tyler's beliefs. 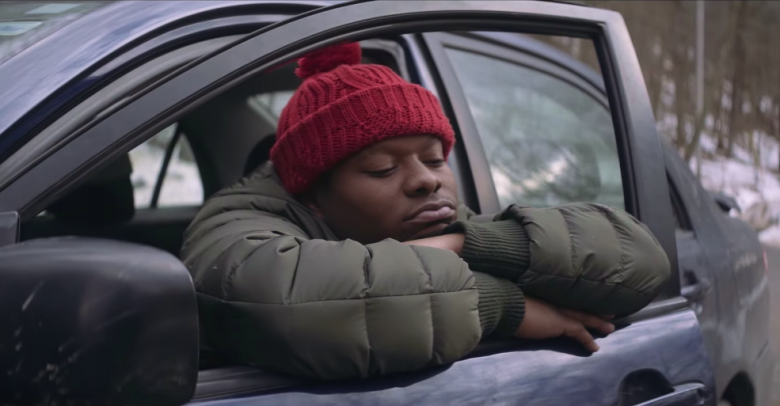 By design, the audience is meant to feel this tension, uneasiness, mounting irritation, and general annoyance, and we do, but not as much as we expected to for a film billed as 2018's version of "Get Out." Silva employs the use of a handheld camera with many extreme close-up shots to allow the audience to share in Tyler's cumbersome and awkward experience. This works some of the time, but it can get a bit distracting, too. Luckily, this capable and talented cast does an admirable job bringing this anxiety to life. 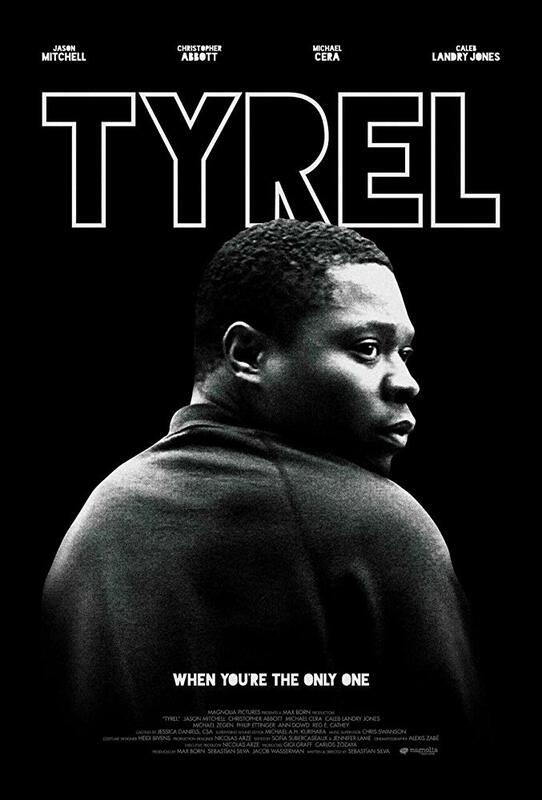 Jason Mitchell has yet to disappoint us as an actor; he gives another great performance as Tyler. Michael Cera, Caleb Landry Jones, and Christopher Abbott also give solid performances here, and all the actors do a stellar job riffing off one another. Though the performances are excellent, it felt as if "Tyrel" was building to something much grander, but it doesn't really do that. In fact, it doesn't amount to much. Despite that we enjoyed this film for the most part, we aren't sure what message Silva is trying to convey other than the fact that people need to be more aware of the unintended damage they cause with their words.